Flock takes a groundbreaking approach to deal with communication clutter by introducing Mute and Pinned conversation features. Professionals using team messengers are invariably part of various groups and conversations. Hence, unwanted noise in the form of over-messaging is a common yet significant concern. Flock becomes the first team messenger to find a robust solution to this problem, as users can now prioritize and manage messages efficiently by pinning high-priority, relevant conversations and muting unimportant groups. “The business communication space is developing at a rapid pace and it is extremely important to keep up with the current needs of consumers. Flock, is observant towards such needs and has noticed that teams working on multiple tasks are bombarded with a lot of information, resulting in information fatigue. 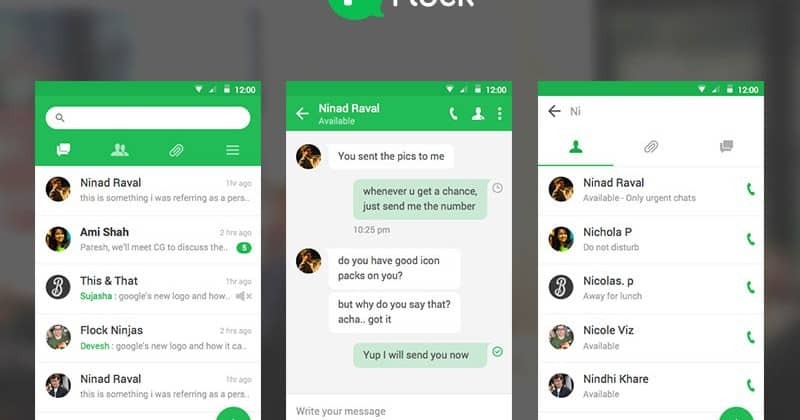 And while most team messaging apps have only gone as far as ‘Do not disturb’ button or a Mute groups button, Flock is the first team communication app to introduce intuitive features that reduce clutter in business communication”, said Bhavin Turakhia, CEO of Flock. Flock users can pin chats with other members or Flock groups so that all important information is listed at the top of the chat bar and captures immediate attention. As business effectiveness is vital to organisations, pinned conversations save on time and resources invested in scouting for information among all chats in the chat tab. Another step towards reducing chat clutter at work is muted group conversations. Although Flock has had the Mute group option for a while, the latest development in this feature makes sure that muted conversations no longer bubble up in the chat tab. This helps Flock users to have concentrated discussions with others, leaving the chatter behind. Flock notifies users in muted groups at the bottom of the chat tab and users can check them at their leisure. “The rationale behind the introduction of Pinned conversation and Muted groups was to reduce communication clutter in the business environment. With information of all kinds now available on a single platform, we wanted to make sure that conversations of high importance are prioritized with pinned conversations and noise is reduced to the minimal with muted groups. Users can now experience smoother, noise free communication with Flock.” said Ninad Raval, Director of Product and Design at Flock. Flock is incessantly working towards solving team communication problems and will soon become the unified platform for all business communication and collaboration needs. Flock launches new features to reduce noise and communication clutter 0 out of 5 based on 0 ratings. 0 user reviews.